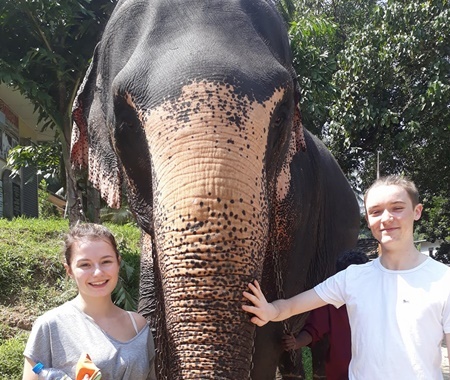 Volunteer in Sri Lanka with Volunteering Solutions and join a wide range of amazing & affordable volunteer programs including Childcare, Teaching English, Women Empowerment, Sea Turtle Conservation, Monk Teaching, Elephant and Community Development. The majority of projects are located in Galle while the Elephant & Community project is based in Kegalle area. All projects are available from 1 week to 18 weeks throughout the year and are specially meant for high school & college students, gap year travelers, families, and backpackers who wish to be a part of the change and make a difference through their contribution. There's so much to do in Sri Lanka, that the weekend might seem to be too short! Explore the beaches and try out some water sports at affordable costs, if you need some adrenaline kicks! Experience the thrill of wildlife adventure at any of the several national reserves, including, Sinharaja forest reserve, Bundala National park, Minneriya National park, and more. Visit some of the best tourist hotspots in and around Colombo such as Sigiriya, Adam’s Peak, Dambulla Cave temple and Kandy Lake. You can also book for Anuradhapura Tour, Bentota and Beruwala Tour with Volunteering Solutions. For any more information, you can also get in touch with our Travel Desk Advisor for more planning! 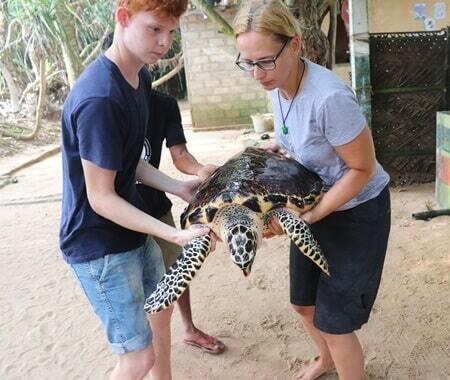 When should I apply for the volunteer programs in Sri Lanka? After you complete your application, your personalized ‘My Account’ will be activated.You will need to upload your CV/Resume along with your photo in the same. Our backend team and the placement site takes around 10-12 days to review your application. After we review your CV and documents, your booking is confirmed and booking confirmation is updated in your ‘My Account’. Some projects need a mandatory criminal background check and the same is mentioned in the project info of your program. Approval of your application depends on your qualification and eligibility criteria for each project. 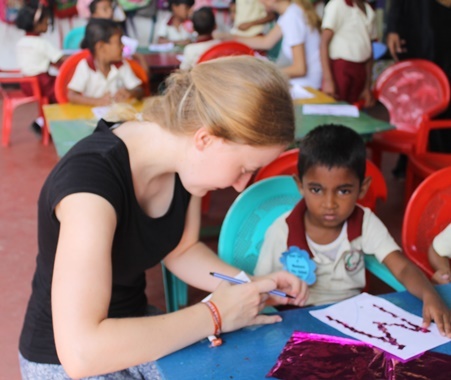 Are there any necessary requirements to participate in the Sri Lankan volunteer programs? The minimum age requirement for the programs in Sri Lanka is 17 years. Volunteers participating in the Medical Program should be at least 18-year-old. Volunteers need to have an open mind and flexible attitude for working in a new and different environment. They should bring energy and enthusiasm to make a difference. In our experience of more than 12+ years, we have enabled and facilitated volunteer program placements for college groups, university groups, high school groups, group of families, group of couples as well as groups of colleagues. When do I need to arrive in Sri Lanka for my program? What will happen once I arrive in the country ? All volunteers need to arrive at Bandaranaike International Airport (CMB) in Colombo, Sri Lanka, on the starting date of their project. Volunteers are picked from the airport by the local coordinator or representative and are transferred to their accommodations. Accommodation will be provided in the volunteer house located near your placements. A short orientation is given after arrival about the city and placements. The volunteers are also taken for a short tour of Colombo before they start with their program. However, the tour depends on the arrival time of your flight. Volunteers usually work for 5 to 6 hours a day depending on their program. However, volunteers need to be flexible, open minded and understand that work requirements can alter at times. Will Volunteering Solutions help with Visa? 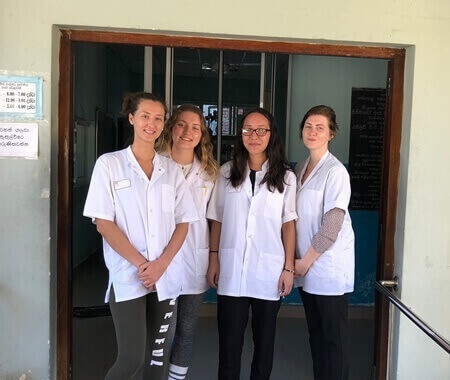 Volunteers traveling to Sri Lanka need to obtain an Electronic Travel Authorization (ETA) prior to their arrival or on their arrival in Sri Lanka. You can then obtain a Visa on Arrival in Sri Lanka for 30 days. Volunteers can apply for ETA online and the approval of the same will be communicated via email. Volunteers can be provided with the supporting documents if needed. More information will be provided once you enroll for the program. What are the recommended airlines to fly to Sri Lanka ? There are frequent in-country flights from Colombo to Galle and Kegalle as well. How safe is Sri Lanka in general ? Sri Lanka is one of the popular tropical destination in Asia and attracts travelers from all around the world. The locals are friendly and helpful as well, however, it is recommended to consult your in-country coordinators before you step out alone or go to any other locations in Sri Lanka. Also, it is recommended to be with your group whenever you venture out or stay out late in the night. It is strongly recommended to follow the safety rules and regulations provided by the in-country coordinator. Are there any other things that I need to be careful about? Considering the fact that Sri Lanka is a tropical country, the weather is mostly hot and humid. For people traveling from European and North American countries, it might seem to extremely hot during the days and sultry at night. We would advise you to consume a lot of water and protect yourself from the sun in whichever way possible. Carry an umbrella. You can consult your doctor once, before traveling to Sri Lanka. Your coordinator will meet you at the airport and will take you to your accommodation and introduce you to our team and other volunteers. You will then be provided with the orientation covering areas like culture, customs, safety, locations, placement, greetings, local transportation etc. On the first day of work, the coordinator will guide you to your project site. Volunteers are accommodated in the Volunteering house. The house is comfortable and clean and the rooms are provided on the same gender sharing basis. The accommodations are simple and volunteers should not expect the luxury of fancy hotels. Volunteers involved in the Elephant Camp Project are given accommodation in the vicinity of the project location. Three meals are provided in a day including both vegetarian and non-vegetarian dishes. The food is tasty, hygienic and nutritious, suitable for all volunteers. Breakfast usually comprises of Bread, Butter, Jam, Bun or Rolls, Eggs and Fruits like Banana & Pineapple & Tea. The lunch includes Sri Lankan style rice and curry and the dinner includes noodles, spaghetti, pasta, chapati, hoppers or String Hoppers with curry. If you have special food requirements, please mention the same in your application form. Would I have free time during my program ? Can I do sightseeing during my program ? Depending on your project placement, you will get free evenings and weekends to explore in and around the city. You can utilize the evening time to visit local markets and other places around your project location. Make the most of your weekends by exploring Sri Lanka to the fullest. We encourage our volunteers to travel. We have designed various weekend tours which can be booked under the ‘Add-on Tours’ section in your ‘My Account’. Your in-country coordinator will also help you book and organize the tours once you are in Sri Lanka. Places like Sinharaja Forest Reserve, Rumassala Mountain, and Galle fort are major attractions in Galle, and Kegalle is a city of ancient architecture and natural beauty. Volunteers are free to plan quick getaways and explore Sri Lanka during the weekends.You can also relax at the beachside and enjoy the taste of the delicious seafood. Are there more expenses once I arrive in Sri Lanka ? Your program fee covers your accommodation, airport pick-up, orientation, pre-departure booklet, and 24x7 in country staff support. You will need to cover your personal expenses, such as traveling, telephone, the internet, shopping, sightseeing, return airport drop, weekend tours etc. You should carry around $50 - $60 per week for your basic personal expenses, such as water, local transport, phone etc. 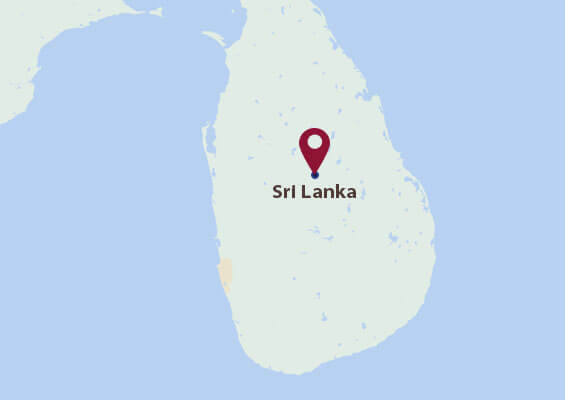 Where can I change my money in Sri Lanka ? Are there ATMs in Sri Lankan cities? You can change money at any bank or at the airport by showing your passport. There are ATMs located all around the city (Galle, Kandy, Ambalangoda and Kegalle) as well. How can I connect with past Volunteering Solutions Sri Lankan alumni as well as other former and current volunteers ? 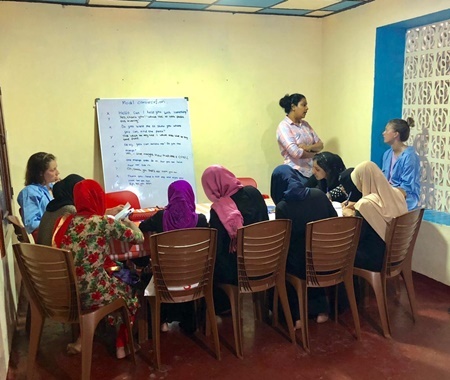 We encourage volunteers to connect with former Volunteering Solutions participants and also other program participants joining our projects. You are recommended to join the Volunteering Solutions Facebook Page or Facebook Group to connect with other participants and our team.